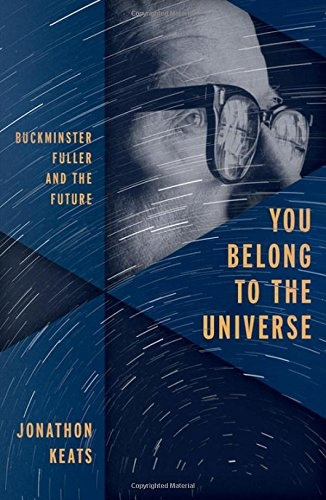 This Thursday at 7 p.m., author (and ZYZZYVA contributor) Jonathon Keats will be at City Lights to discuss his newest book, You Belong to the Universe: Buckminster Fuller and the Future (Oxford University Press). 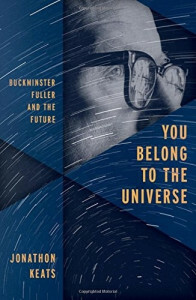 Called by Douglas Coupland a “wonderfully written and highly necessary book about one of the 20th century’s most enigmatic outliers,” the book takes Fuller’s life and personal myth as a basis for applying his world-changing ideas in the present. The following is an excerpt from Keats’s book. Late one evening in the winter of 1927, Buckminster Fuller set out to kill himself in frigid Lake Michigan. At thirty-two years old, he was a failure. He had neither job prospects nor savings, and his wife had just given birth to a daughter. A life insurance policy, bought while he was in the Navy, was all that he had to support his family. So Fuller walked down to a deserted stretch of shoreline on the North Side of Chicago. He looked out over the churning water and calculated how long he’d need to swim before succumbing to hypothermia. But as he prepared to jump, he felt a strange resistance, as if he were being lifted, and he heard a stern voice inside his head: “You do not have the right to eliminate yourself. You do not belong to you. You belong to the universe.” Then the voice confided that his life had a purpose, which could be fulfilled only by sharing his mind with the world, and that his family would always be provided for, as long as he submitted to his calling. For millennia people have struggled to craft the human form in materials from clay to silicone. But while there have been some popular hits such as Michelangelo’s David, nothing in the world’s museums shows the subtlety to be seen in the living body. In our scientifically advanced society, the optimal way to create a portrait is to clone the human subject. Conventional genetic cloning is technically problematic, but only because cloners apply antiquated genetic concepts. Recently biologists have learned that the genes you inherit don’t determine who you become. What matters is which genes are expressed, and gene expression depends on your environment. 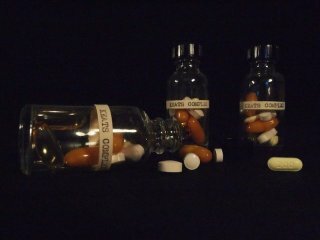 Epigenetics takes into account environmental factors from diet to pollutants. 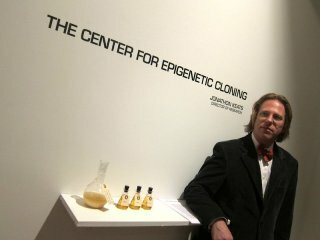 By evaluating these factors and replicating them, I’m pioneering the field of epigenetic human cloning. Science began with the Copernican Revolution. 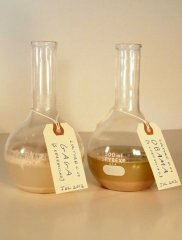 Recognition that the world is an average planet, and that our place in the cosmos is nothing special, has allowed humanity to make generalizations about the universe based on local observations. Yet while the Copernican Revolution has enlightened scientists for centuries, art remains Ptolemaic. The work most cherished is esteemed for being atypical. Whether admired for academic skillfulness or avant-garde boldness, the masterpiece is our artistic ideal. If art is to foster universal understanding – and be more than a cultural trophy – the great works must be abandoned. We must banish masterpieces as distracting anomalies, just as scientists routinely discard artifacts from their data sets. Art ought to be mediocre. 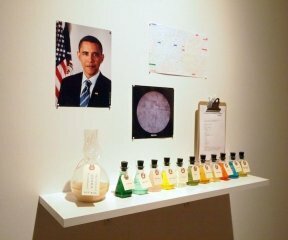 The art of the future must be Copernican. 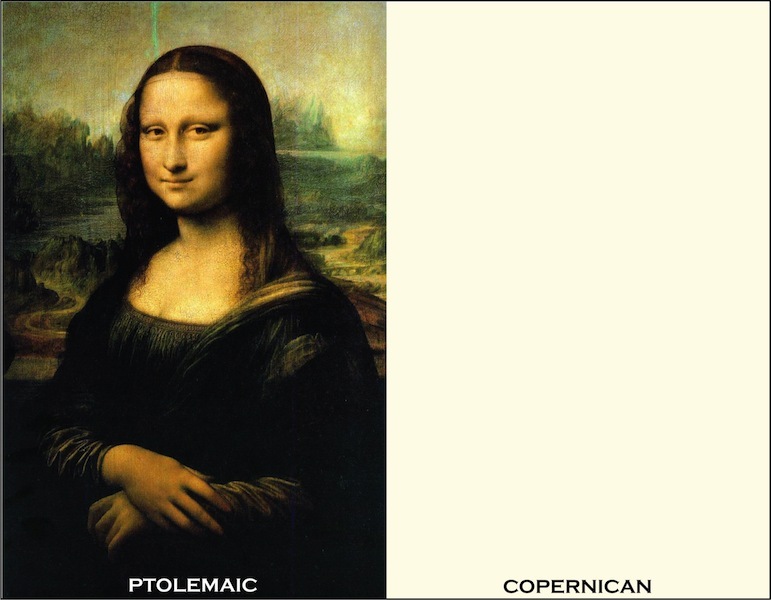 This new Copernican art can be made by anyone. To achieve complete mediocrity, everybody must participate. 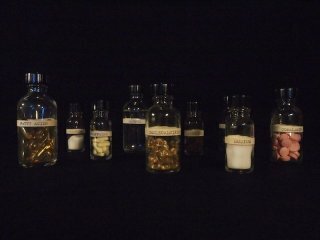 In all genres, new work is required. The Ptolemaic past must also be reexamined, standards reconsidered, masterpieces rectified.